The Federal Reserve reported that consumer credit grew in March, and it was much greater than analysts had expected. The debt expansion continues to be concentrated in non-revolving debt such as car financing and – the biggest factor – student loans. A surge in college borrowing has come as some interest rates are about to double, pending action from Congress. Credit card debt, which is a sign of consumer confidence, rose for the first time in three months. 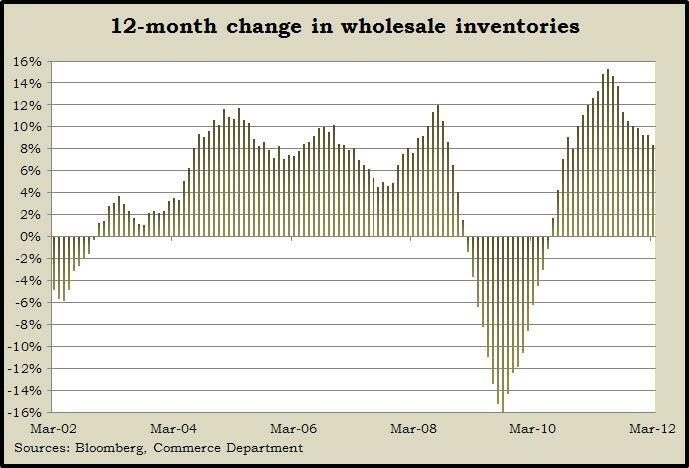 March also experienced the lowest increase in wholesale inventories in four months, another indication of slowing economic momentum. According to the Commerce Department, the ratio of wholesale inventories to sales remained near historic lows, suggesting companies continue to run lean and cautious. The year-to-year build of inventories dipped to 8.4%, its lowest mark since November 2010, but that’s up from a 20-year average rate of 4.5%. The U.S. trade deficit widened in March as imports grew faster than exports. While analysts had expected the Bureau of Economic Analysis to show a gap narrower than the $51.8 billion reported, they also saw encouraging signs of consumerism. Americans bought more foreign-made computers, cell phones, cars, clothes and TVs. 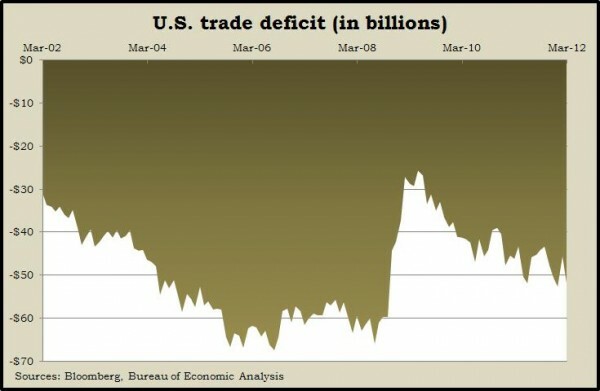 Exports also increased, allaying some fears of how a slowdown in global growth might affect U.S. companies. Labor market conditions showed signs of revival as the moving four-week average for initial unemployment claims dipped for the first time since March and only the third time since February. Labor Department data showed jobless claims still around the levels they were four years ago. Average claims are more than 40% lower than their recessionary peak and have been below the critical level of 400,000 for more than six months. Led by lower gasoline prices, wholesale inflation fell in April for the first time in four months. The Bureau of Labor Statistics said the year-to-year rate in the Producer Price Index dipped to 1.9%, the slightest since October 2009. Similarly, the core index, which excludes volatile food and fuel costs, nudged down to a 2.7% annual rate, the lowest since August. The data support Federal Reserve statements that inflation isn’t an imminent threat and suggest a decrease in the Consumer Price Index, which will be reported next week. An early reading of May consumer sentiment showed the greatest optimism since before the Great Recession started at the end of 2007. The preliminary gauging by the University of Michigan and Thomson Reuters found especially strong feelings for current conditions, although consumers’ expectations for the future – which tend to affect spending plans – remained relatively weak.